At Tempe St. Luke's Hospital, a campus of St. Luke's Medical Center, our focus is on our patients - as a team, working together to get patients well and back to their lives as quickly as possible. It's easy to see that this desire to help others is in the hearts and minds of our caring and experienced staff members. They strive to make each patient's experience as pleasant, convenient, and comfortable as possible by providing an extraordinary level of care and focusing on patient safety. 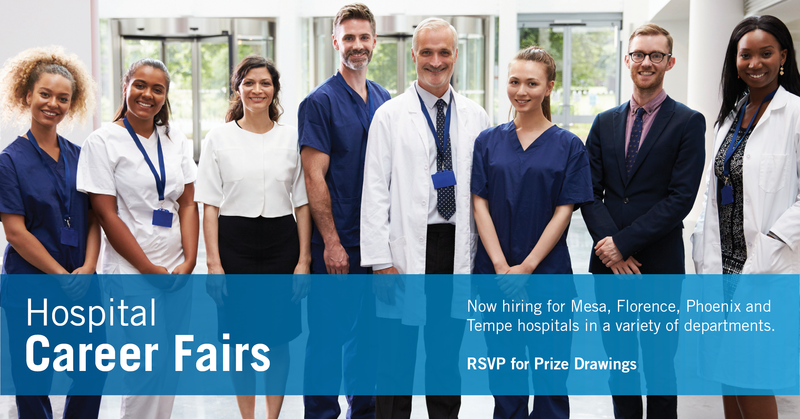 Tempe St. Luke's Hospital is a great place to work. Our employees enjoy opportunities for professional development and career advancement, as well as a competitive compensation and benefits package. Medical, dental, and income replacement insurance plans. Tempe St. Luke's Hospital offers numerous employee recognition opportunities including participation in the Daisy Awards, a national nurse recognition program celebrating the compassionate work of nurses who provide direct care to patients and families.